three channels of video on three projection screens overlooking the platform. and TV excerpts from a Redskins football game. 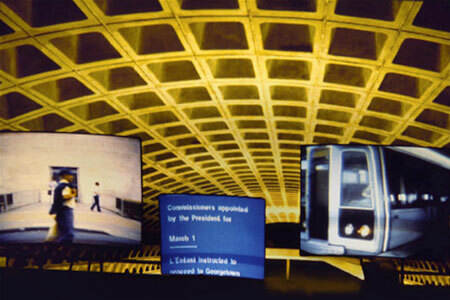 video monitors within the METRO’s surveillance system. events that led to the design of the Federal City by architect Pierre L’Enfant. on the history of the District of Columbia.